Thanks to your feedback, Swimia has turn out to be in just several months one one of the most essential sites of swimming pools. 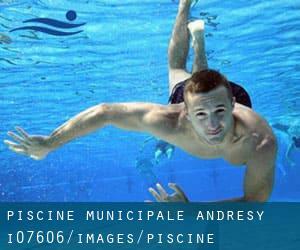 Here you could have all the info we know about Piscine Municipale - Andresy, in Andrésy. Don't forget you can also promote this pool so Piscine Municipale - Andresy will appear the very first of Andrésy, or even the first of one's country, contact us to know a lot more. Swimmers like you reported 25 meters x 12.5 meters, 5 lanes, Indoor/Outdoor. Unfortunately we do not have the email address of this Swimming Pool, but we can give you the phone number. Updated on 2019 Chemin des Regains , Chevreuse , FRANCE (Postal Code: 78460). Swimmers like you reported 25 meters x 21 meters, Indoors. Unfortunately we do not have the e-mail address of this Swimming Pool, but we can give you the phone number. Updated on 2019 Avenue Pierre Corneille , La Celle Saint Cloud , FRANCE (Postal Code: 78170). Swimmers like you reported 25 meters x 10 meters, 4 lanes, Indoors. Unfortunately we do not have the email address of this Pool, but we can give you the phone number. Updated on 2019 38 rue de la Martinière , Versailles , FRANCE (Postal Code: 78000). Swimmers like you reported 25 meters, 6 lanes, Indoors. Unfortunately we do not have the e-mail address of this Swimming Pool, but we can give you the phone number. Updated on 2019 Lieu-dit Ile Belle , Meulan , FRANCE (Postal Code: 78250). Swimmers like you reported 25 meters, 6 lanes, Indoors. Phone number and e-mail address are number for this Swimming Pool. Updated on 2019 7 Rue Roland Le Nestour , Poissy , FRANCE (Postal Code: 78300). Swimmers like you reported 25 meters x 10 meters, 4 lanes, Indoor/Outdoor. Unfortunately we do not have the email address of this Swimming Pool, but we can give you the phone number. Updated on 2019 37 Rue Jean Rey , Viroflay , FRANCE (Postal Code: 78220). Swimmers like you reported 25 meters x 12.5 meters, 5 lanes, Indoors. Phone number and email address are number for this Swimming Pool. Updated on 2019 107 Rue Muette , Maisons Laffitte , FRANCE (Postal Code: 78600). This great and large sports center lets professional swimmers like you enjoy Olympic size x 15 meters, 6 lanes, Indoors. Additionally, within these facilities you can try 25 meters x 10 meters, 4 lanes, Indoors. Unfortunately we do not have the email address of this Swimming Pool, but we can give you the phone number. Updated on 2019 7 Rue Leon Gatin , Versailles , FRANCE (Postal Code: 78000). Among all the activities offered by the center, for anyone who is interested in swimming you can enjoy Olympic size x 15 meters, 6 lanes, 25 meters, Indoors. If you need to contact this Swimming Pool, email address and phone number are both number. Updated on 2019 Rue Belfort , Houilles , FRANCE (Postal Code: 78800). Swimmers like you reported 25 meters x 10 meters, 4 lanes, Indoors. Unfortunately we do not have the email address of this Swimming Pool, but we can provide you with the phone number. Updated on 2019 Rue Pablo Neruda , Les Clayes sous Bois , FRANCE (Postal Code: 78340). This sports center provides 25 meters x 15 meters, 6 lanes, Indoors. Contact facts for this Swimming Pool which include phone number and e-mail address are number. Updated on 2019 5, Rue Paul Leplat , Marly le Roi , FRANCE (Postal Code: 78160). Swimmers like you reported 25 meters x 12.5 meters, 5 lanes, 1.3 meters - 3.5 meters depth, 1.3 meters - 3.5 meters depth, Indoors. Phone number and e-mail address are number for this Swimming Pool. Updated on 2019 Rue Hubert Mouchel , Les Mureaux , FRANCE (Postal Code: 78130). Swimmers like you reported 25 meters x 10 meters, 4 lanes, Indoors. Unfortunately we do not have the e-mail address of this Swimming Pool, but we can give you the phone number. Updated on 2019 7 Rue Pottier , Le Chesnay , FRANCE (Postal Code: 78150). Among all the activities supplied by the center, should you be keen on swimming you can enjoy Olympic size x 15 meters, 6 lanes, Indoors. Just in case you need to contact this Pool just before dropping by, we only know the phone number. Updated on 2019 Place Nickenich , Montfort l ´Amaury , FRANCE (Postal Code: 78490). Swimmers like you reported 25 meters x 15 meters, 6 lanes, Indoor/Outdoor. Phone number and e-mail address are number for this Pool. Updated on 2019 66 Rue Emile Fontanier , Le Mesnil Saint Denis , FRANCE (Postal Code: 78320). Among all the activities supplied by the center, if you are keen on swimming you are going to take pleasure in 25 meters x 10 meters, 4 lanes, Indoor/Outdoor. Just in case you would like to contact this Swimming Pool just before dropping by, we only know the phone number.